Twilio is a platform for legitimate companies to send wanted communications to their customers – communications those customers have opted into. Whether that’s an alert about an upcoming doctor’s appointment, notice of a school closing, confirmation that a purchased item has been delivered, or alert that a ride is approaching, there are endless examples of critical communications we now rely on every day. Twilio is in the background of many of those messages, and most people are unaware that the organization communicating with them is using Twilio. So today, we are proud to release a feature available to anyone in the United States to see if a call or text passed through Twilio. If it did use Twilio and you feel that communication was unwanted, we want you to let us know so we can investigate. We’ll let you know that the number does not appear to be from Twilio. If the number was a source of unwanted communications, you can report it to the FTC here or by calling 1-888-382-1222. For US-based carriers, you can report an unwanted contact by texting the toll-free number 7726. AT&T has a useful guide to avoiding unwanted calls you can find here. What happens when you report a number? If you report a Twilio serviced phone number for spam, fraud, or abuse we’ll investigate that number and its communications with you. If the sender of the message or call is in violation of any laws or our Acceptable Use Policy, we will address the violations with them and take appropriate action as necessary. Have you ever gotten a call that appeared to be from your own phone? Because of the way the phone system works today, anyone can pretend to be calling or texting from any number – even if they don’t own it. This practice is called spoofing. 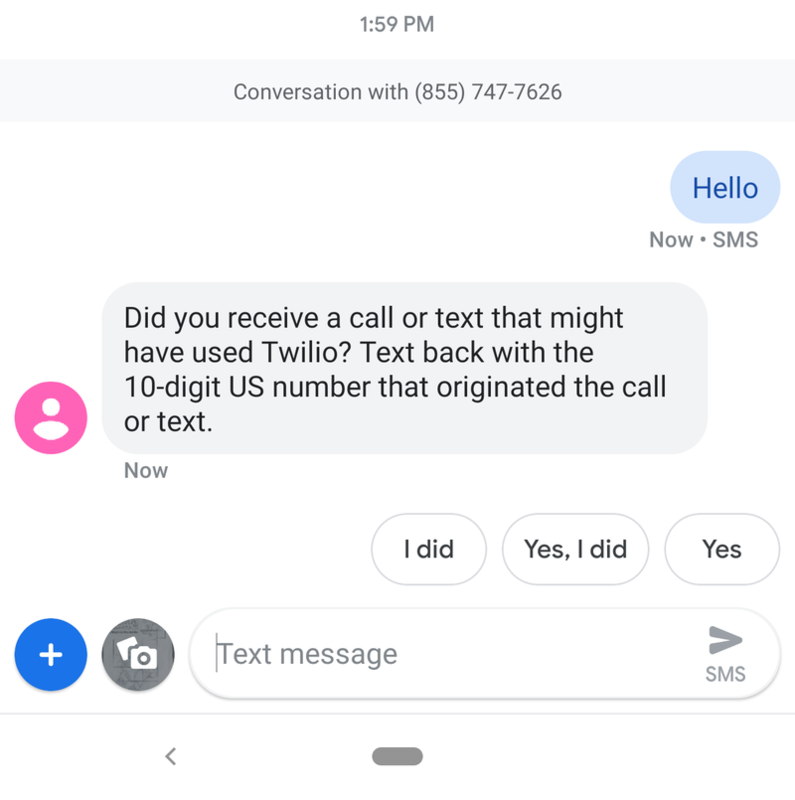 As a result, while it may appear that a call or text is coming from some number, it is entirely possible that the owner of that number isn’t behind it. Twilio does not allow customers to use numbers they don’t own, but this practice doesn’t prevent others from spoofing Twilio serviced numbers. That means communications from a number which appears to be serviced with Twilio may not be under our control. Unfortunately in the spoofing case, neither Twilio, nor the carriers, nor the FCC may be able to pinpoint who is placing that call or text. We are part of an effort across the industry to address the issue of spoofing. We are optimistic that effort will help dramatically reduce spoofing, but it’s unlikely we’ll see the fruits of that work until 2020. The current robocalling situation is untenable. While the explosion in cellular phone adoption has undoubtedly improved life the world over, the robocalling epidemic now causes cell phone anxiety every time the phone rings. Even worse, the next generation is threatening to hang up on voice calls, forever. We need to make this right again. 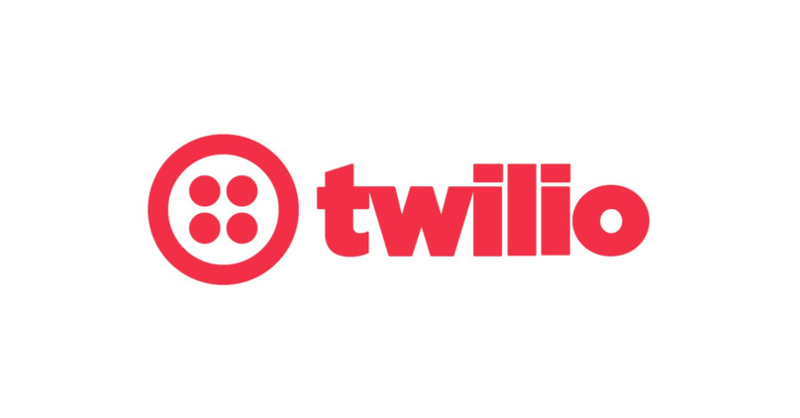 Twilio is committed to restoring trust in communications and solving cell phone anxiety. We hope this new tool helps you take back your phone. Text +1 (855) 747-7626* (1-855-747-ROBO) with a US phone number to check if it is served from Twilio. Try it for free* today. You’ll help us root out any bad actors, and you may be pleasantly surprised about how often you use Twilio for wanted communications! Paul Kamp is the Editor-in-Chief of the Twilio Blog. He’s very invested in helping solve the trusted communications problem – in the process of writing this post, he was interrupted three times by spam callers. He can be reached at pkamp [at] twilio.com.